Why did David Cameron feel the need to praise just one company, ARUP, in his recent infrastructure speech? 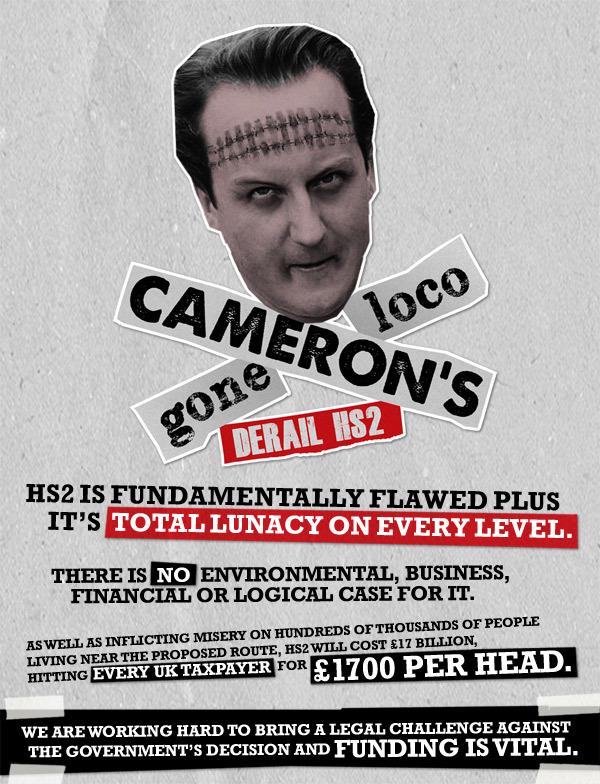 ARUP, the only firm which David Cameron mentioned in his infrastructure speech on 19th March, had a series of exclusive meetings with senior Tory politicians, including the Prime Minister, before being awarded a series of contracts worth £22m, after the decision to proceed with HS2 on January 10th. ARUP have continued to be awarded the lions’ share of HS2 contracts, since being originally appointed by Labour’s Lord Adonis to develop the plans. That initial contract may have broken EU procurement rules after being settled via an exchange of letters, opposed to a proper tendering process, and the firm is a main sponsor of many of the Chambers of Commerce which have been lobbying for HS2 to be built. On 16th February, just five weeks after the announcement to proceed with HS2, ARUP were awarded a £7m contract for environmental services. Since then they have been given a £10m contract to design a new station at Euston and a £5m contract to perform the Environmental Impact Analysis in the West Midlands. In his speech on 19th March, David Cameron singled out ARUP for working ‘miracles in steel and glass’: examples include the Scottish Parliament building which cost £414m after an initial estimate of £10m. The revelations have raised more questions about how the government conducts business, following the recent lobbying scandal, as besides meeting David Cameron, in the last two years representatives from the company have met with Business Minister Mark Prisk, Business Secretary Vince Cable, Trade and Investment Minister Stephen Green, Welsh Secretary Cheryl Gillan and Philip Hammond -a construction magnate himself- whilst he was Transport Secretary. At a meeting in Buckingham in September 2010, Hammond said that Arup could not be considered to be acting with impartiality after he had been told that senior officers of the company, along with Atkins, had told objectors that the proposals chosen by the DfT were not the best options for the Country. ARUP company chairman Philip Dilley is named on the Prime Minister’s Business Advisory Group. The Stop HS2 campaign has long maintained, in line with the conclusions of the Eddington Transport Study, published in 2006 for the DfT, that HS2 was only progressing, not because it is in the best interests of the country, but because there is a strong lobby from vested interest groups who will make money out of it, either from winning contracts or via the exceptionally localised benefits it might bring a relatively few areas. The fuel fiasco doesn’t exactly demonstrate competence in forward planning by the government or its advisors.